Online marketplace Etsy is joining the push for free or cheap delivery of e-commerce purchases. So, what is the link between free shipping and e-commerce growth? Marek Różycki (Last Mile Experts) and Ian Kerr (Postal Hub Podcast) discuss this and how to keep delivery costs low. Free shipping is a major bone of contention in the delivery and e-commerce sectors. Subscription services such as Amazon Prime or Allegro Smart, which offer ‘free’ shipping after paying a very reasonable annual fee, are driving customer expectations more and more. Online marketplace Etsy has a new focus on shipping, including asking sellers to reduce shipping fees – or eliminate them altogether. By reducing or even removing shipping fees, Etsy hopes to gain customers and grow the total value of items sold through its marketplace. According to a 2018 buyer survey by Etsy’s research team, as items get more expensive, the percentage of the item price that shoppers are willing to pay for shipping greatly decreases. Last November, Etsy CEO Josh Silverman said that fewer than 20% of listings in the previous quarter were eligible for free shipping, and that Etsy research suggests that buyers perceive about half of the items in its marketplace as having high shipping costs. “We know that buyers prefer free shipping and that sellers win when they offer it in most cases,” Silverman said. So, is Silverman right? As is often the case, our answer is ‘it depends’! This strategy shows that Etsy management understands the importance of the last mile and that they should prioritize this area. Price is, however only part of the equation – read on to find out why. What does the consignee really want? As the e-commerce market leader, Amazon has set customer expectations high. There’s ‘free’ delivery for Prime members, then there’s free superfast timeslot deliveries for members in Prime Now areas. Free isn’t really free, of course. There’s an annual Prime membership fee, and Prime Now is subject to a minimum basket value. Then, on top of the various delivery perks, Amazon Prime customers get a number of ‘bundled’ benefits such as free Kindle books or Prime Videos. Various research, including the great e-commerce reports produced by Metapack, show that in the world outside of Amazon, consignees will usually want a mix of free (or at least very low cost) delivery supported by customer centric features – some of which they will be prepared to pay for. Consignees still expect to pay for superfast or heavy and bulky delivery, as well as value added services such as ‘customer pull’ delivery windows. How can e-commerce maximize sales without breaking the bank? Residential delivery costs are ballooning thanks to labor shortages and the resulting wage inflation, meaning that out of home (OOH) delivery solutions are becoming more important. PUDOs and lockers will usually have several parcels delivered to the same point, and from the second parcel onward the delivery cost via OOH will usually be lower than two separate ‘to door’ deliveries. Once we have 20 or 30 parcels to the same point, the individual delivery cost becomes much more attractive, even when we account for a small incremental parcel fee for the courier and the PUDO or APM related costs. OOH first-time delivery rates (FTD) are close to 100%. In fact, the only time that a delivery is not successful is if the consignee is temporarily unavailable (sudden illness or absence) or doesn’t really want to collect the item (push selling). This compares with FTD rates ranging from ~80% in some less developed Central and Eastern European markets to the high 90s in a developed market such as the UK. OOH is a key tool for returns, beating other options in terms of efficiency and customer experience, by far. OOH delivery options need to grow in order to offer customers free or cheap delivery options with a good customer experience. Combined with subscription models (like Prime), this will be a powerful tool for e-retailers to win business and keep loyal customers. So far, only some e-commerce players use a full range of ‘to door’ and OOH delivery options, and fewer still offer subscription models. This must change if the last mile is to be able to support the kind of exponential growth many e-commerce players are already experiencing today, and if other e-commerce players are going to be able to stand up to Amazon. 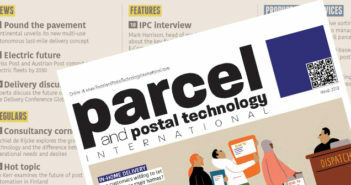 Ian Kerr is the founder and host of the Postal Hub Podcast, the weekly podcast for the postal and delivery sectors. 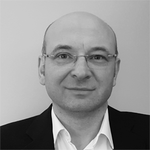 Marek Różycki is managing partner at Last Mile Experts, specializing in CEP and e-commerce last-mile advisory.